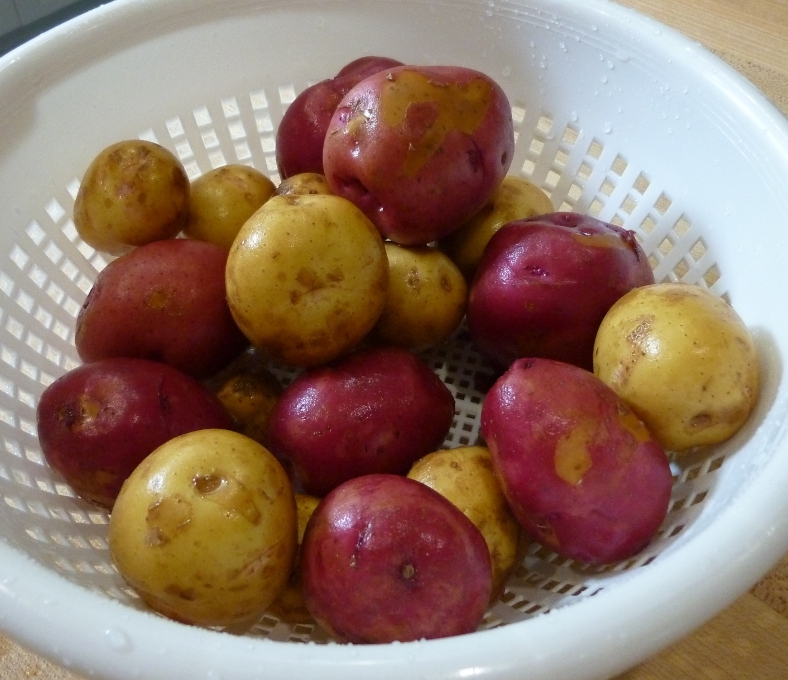 Potatoes are abundant at market right now – red, white, fingerling – you name it. Delicious. Head out this weekend and get yourself some; you’ll be spoiled and never look at those bland, mealy ones at the grocery store the same way again. Usually, we think of potatoes as a substantial side dish; this can be heavy in the summertime. 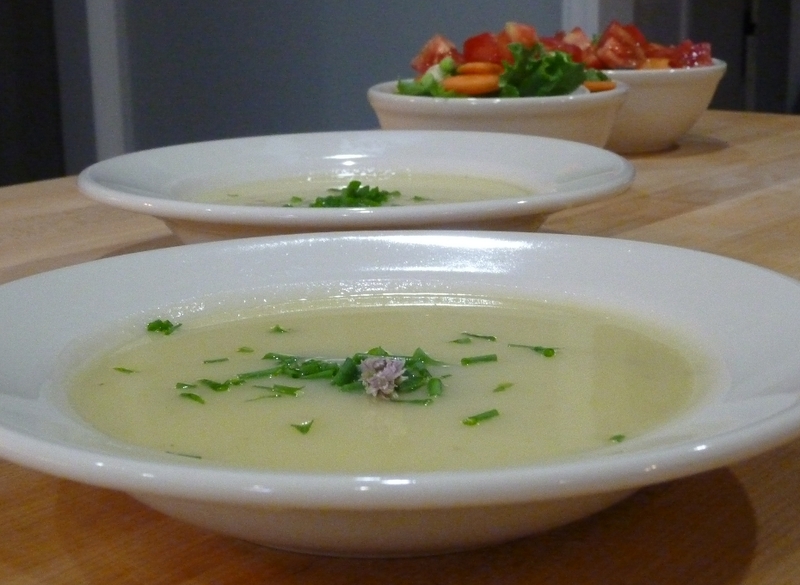 Consider making a potage, or potato soup. Charlotte Fresh likes to serve it room temperature during the hot season. Hubby’s not big on soup, but even he likes this one. A fresh, locally sourced salad on the side, and you’ve got the perfect meal. I love the potage the way it is, but make it with leeks, chicken stock and add a little cream, and you’ll have vichyssoise. If you make the potage and don’t want to use the white wine, stock is recommended for more flavor, so use seven cups of stock instead of the six water/one wine. 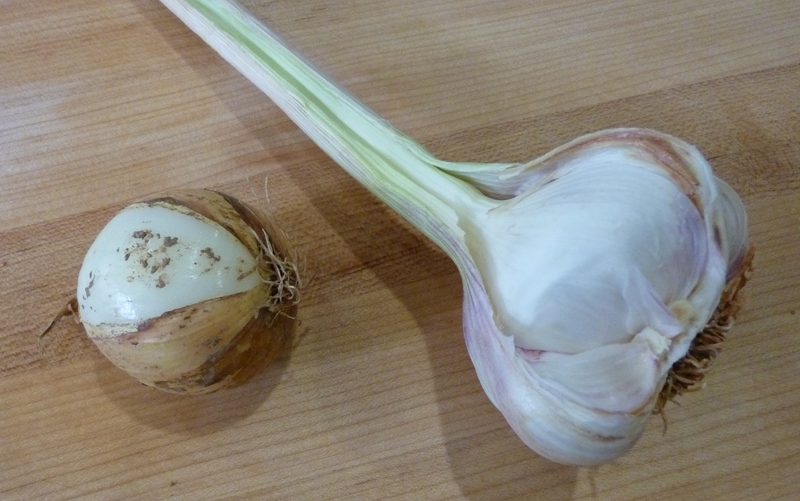 In a pot, saute the garlic and onion in olive oil for about 2 minutes. Place potatoes in the pot and cover with water or broth. Bring to a boil, then reduce to a simmer for 20 minutes. Add white wine and simmer for 10 minutes, or until potatoes are soft when you poke them with a fork. Use an immersion blender to puree the hot soup (be careful). Salt and pepper to taste. Let cool to desired temperature before serving. Top with chives. This entry was posted in Produce, Recipes, Uncategorized and tagged Produce, Recipe. Bookmark the permalink.